Cincinnati chef Caitlin Steininger is one of 15 contestants competing on this season's Top Chef. 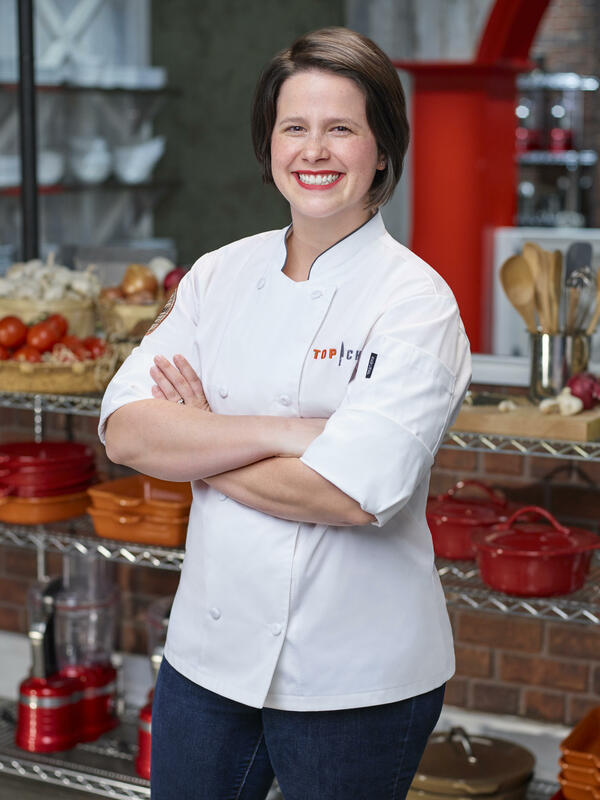 Season 16 of Bravo's popular Top Chef was taped in Kentucky, with 15 chefs from across the country, including Caitlin Steininger of Cooking with Caitlin, competing for the Top Chef title. The Cincinnati chef, restaurant owner, newspaper columnist and mother of four spent part of her summer going up against the other chef contestants, each putting their spin on Kentucky classics such as burgoo, Benedictine and the Hot Brown. Caitlin Steininger discusses her career and some of her experiences competing on Top Chef for Cincinnati Edition with WVXU News Director Maryanne Zeleznik; and food writer and creator of the Wine me Dine me blog, Julie Niesen. Julie also writes the Bits & Bites blog for WVXU. The season premiere of Bravo's Top Chef is Thursday, December 6 at 9 p.m. Tune in to Cincinnati Edition Dec. 6 at 1 p.m. to hear this segment. As if "Cooking with Caitlin" Steininger didn't have enough to do. The Cincinnati chef, restaurant owner, newspaper columnist and mother of four spent part of her summer competing on Bravo's Top Chef, which premieres Thursday Dec. 6. If there’s anything more iconically Cincinnati than our chili, you’d be hard pressed to find it. Spaghetti, topped with a thin, sweet-spiced meat sauce and a pile of bright orange cheese: locals generally love it, and everyone else is just a little confused. Where did it come from? Why do Cincinnatians love it so much? Is it even chili?